I recently used the merino wool Icebreaker BodyfitZONE Base Layer on an epic cycling adventure through New Zealand. I can safely say that I have thoroughly tested this garment designed to enable human versatility through cold conditions. In this review, I will discuss my experiences with the Icebreaker products I used throughout my journey. But firstly, let me paint a little picture for you. You’ve just completed your ride. You may have pushed yourself in a bunch, rolled turns with some mates, or just gone that little bit deeper than you typically would. Despite the cool temperatures, you’re hot. In fact, you’ve worked up a solid sweat and now you’re about to conclude your ride with the best thing about cycling – the post ride coffee. You sit in the café sipping on your latte, chatting with mates, having a grand old time. All the while, below your outer lycra layer, your base layer is soaked from sweat-induced moisture and is cooling your body down. The hot coffee and heated café had disguised this rapid cool-down of your body until you step outside and into the cold. The post-ride shiver kicks off. You frantically pedal to get warm on your journey home. In the hot shower you get warm – ahh, that’s better – presumably with no awareness that those final distressing moments of your ride, didn’t have to be that way. If this scenario sounds a little familiar, my guess is that you start each ride a little chilly too. I recently cycled the length of New Zealand over 13 days, mid-winter. That’s 2,336 kilometres, or an average of about 180 kilometres a day. Given the subzero conditions in New Zealand’s south, I knew a base layer was going to be critically important. In addition to the freezing cold temperatures many of the 13 days were much longer than 200 kilometres. Furthermore, there was always going to be a daily stop-and-start 30 minute lunch break I had to consider. I was lucky enough to have my wife supporting me across this journey and the daily lunch stop gave us a daily dose husband and wife time together. Because I had sorely disrupted what was meant to be a kid-free, romantic husband-and-wife getaway with my decision to ride the length of New Zealand, this time was important. I had forecasted to use these husband and wife lunchtime rendezvous to change clothes (at least the top half). With anticipated fatigue kicking in across this winter journey I knew that changing would help me get going again, mitigating that initial battle of cold and wet base layers as I transition into a full afternoon of pedalling in cold temperatures. When you ride the length of New Zealand you encounter many merino sheep. In fact, riding past them became an entertaining aspect of my daily repertoire. While the sheep had clearly become accustomed to cars driving past at furious speeds, a road bike was a much slower and intriguing proposition. The first sheep – typically the closest to the road – would look up with a confused look like: “I’ve never heard that sound before”. It would normally take a few seconds, but once I was spotted, that sheep would initiate a stampede from the fence line into the middle of the paddock. Without exception, this would happen every time I passed sheep in New Zealand, and for some reason, I’d never got tired of watching it. In addition to watching the stampede unfold I was also mesmerised by the aesthetics of New Zealand sheep – in particular the merinos. They were beautiful. Whether it is the rich soil and lush grass that nourishes their physical appearance or the extreme weather conditions that has induced a rare adaptation of super sheep – the wool coating of the New Zealand merino bread is clearly a unique proposition. So what happens when you blend their coating into a cycling base layer? I know this might seem a little bizarre – as this is a cycling website, not a pyjama blog – however perhaps the most compelling way for me to describe the breathing capability of the Icebreaker base layer is through my bedtime experiences, post New Zealand! I was so hooked on the Icebreaker base layer that upon my return to Australia I decided to wear one to bed. I normally wear a cotton long sleeve t-shirt at night time but the Icebreaker base layer was calling. With my traditional cotton long sleeve, I’d wear it once or twice, and then chuck it in the wash the following morning. The Icebreaker base layer, however, I wore for 5 nights in a row. I know that may sound disturbing to those hygiene enthusiasts out there, but please hear me out. It was clear that my skin was breathing better through the New Zealand merino wool, as I would wake up feeling more comfortable, and I’d even go as far as saying I felt “fresher”. In addition, my senses indicated there was no requirement to wash the garment. In fact, I got to 5 days and my senses actually had to be overruled by my logic. When I finished a long ride in New Zealand, I typically wouldn’t have time to wash my gear. In fact, I only had the opportunity to wash and dry clothes once across the 13-day journey given our relentless, motel-hopping itinerary. 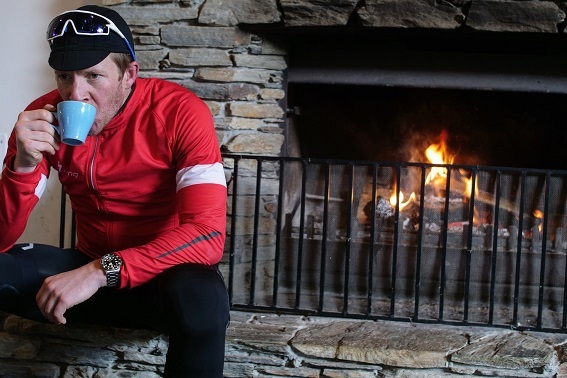 With 4 Icebreaker base layers in my possession, I had no other choice but to reuse these garments after they had already experienced a 200-kilometre round of pedalling. With any other base layer I’ve previously used there’s no way I could have contended with the scent obtained from the previous day’s activities. However, with the breathing and ventilation effect of Icebreaker merino wool, I hardly noticed that a well-worn cycling garment had been put through the wringer before sporting it for another 8-hour day in the saddle. We put on too many layers on a cool morning only to heat up like we’re in a sauna 15 minutes into the ride. The ability to find the right blend of cycling clothing can be an overwhelming conundrum that may even stop people of riding on chilly mornings. During some of my days in New Zealand, I would start at subzero temperatures. Later in the day the sun would appear and hit my back for hours on end. On some of those days I loved that feeling of the sun hitting my back. There was something naturally delightful about the winter sun that will make those moments ever-lasting in my mind. The Icebreaker base layer gave me confidence in the mornings. 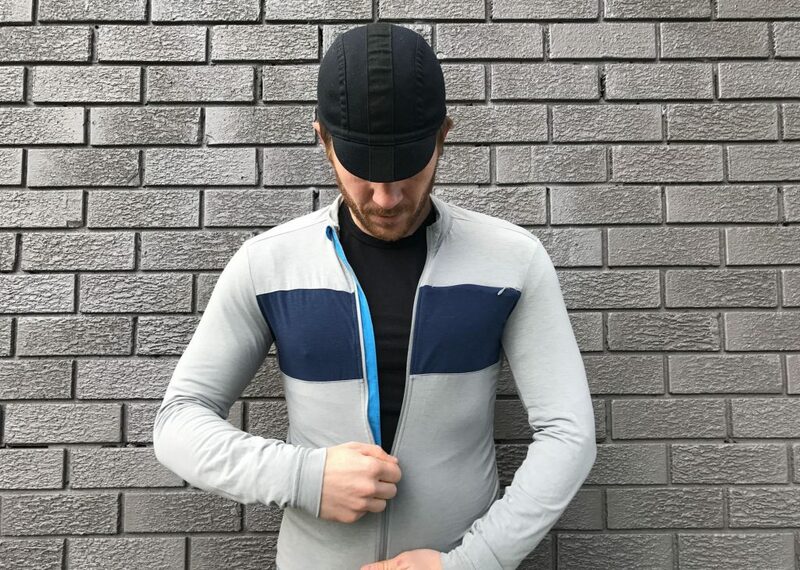 I didn’t require the multiple layers to get me through the initial periods of subzero pedalling because of the capability of the merino to efficiently warm, but also breathe when required. This ultimately meant I wasn’t frantically removing layers as the beautiful winter sun hit my back. Due to the anticipated base layer wet/cold effect I had expected to change my upper half at each lunch stop. However, outside the days I was completely drenched from the rain, this apparel change did not end up coming to fruition. The garment’s ability to breath mitigates the build-up of sweat during a ride. 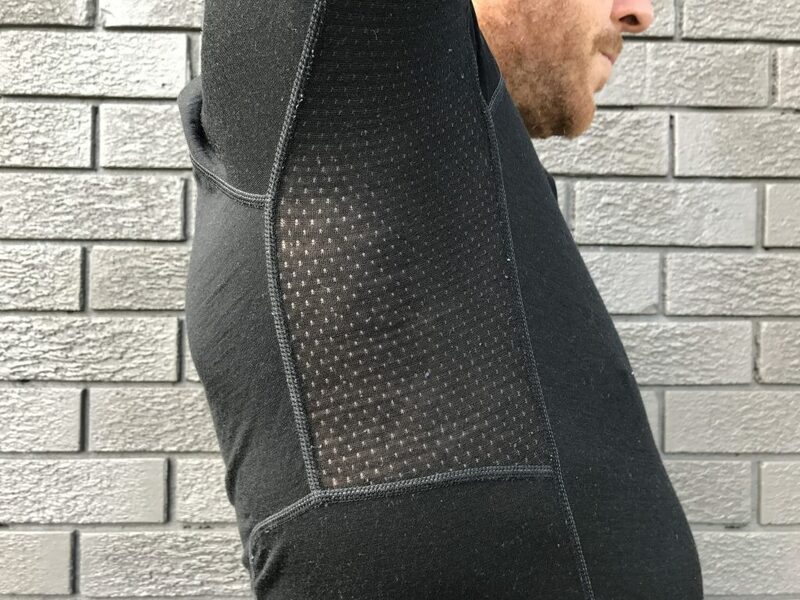 In fact, the base layer has strategically placed merino mesh panels to help regulate temperatures during stop-and-go days in the saddle. These “strategically placed” panels, in addition to the temperature-regulating New Zealand “super sheep” merino wool, helped me avoid constant garment changes throughout the day. 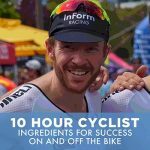 The chilly pedal home from your post-ride coffee no longer has to be a distressing moment in your day, and you can kiss goodbye those sauna-like moments as you start your morning ride! In addition to wearing the base layer in New Zealand I was also sporting the Icebreaker socks, gloves and neck warmer. The merino technology stays the same for these products. It was purely an additional opportunity to blend in the positive side effects of Icebreaker’s technology across other body parts. While all the products were elite in their ability to manage the cold conditions, the socks were a real highlight. The toes are a vulnerable part of the body for anyone cycling in the cold. They feel the wind chill more so than other areas of the body, and the foot is prone to getting sweaty in the shoe. As per the above sentiment with the base layer, the New Zealand merino was able to provide the warmth and breathing effect like no other sock I have experienced. In fact, like my pyjama scenario, I’m finding it hard to wear any other sock throughout the Melbourne winter days. Looking for sports and cycling clothing suitable for all four seasons? Check out Bike Chaser’s range of clothing from a wide selection of Australian retailers. Great review, I think it’s time to try this merino stuff. I use the Icebreaker socks on my mountain hiking journeys. They are the best socks I have ever used. I was a huge fan of the socks too! Thanks for sharing your experiences Tim.